Did you miss out on the opportunity to visit Mexico last year? Maybe you’ve been planning ahead for a great vacation in 2014, but you might not be sure of the best destination. 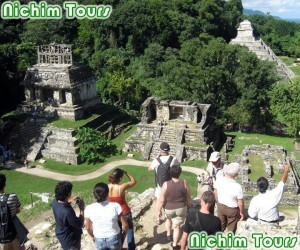 Mexico provides you with many options, and you can start planning now so that every detail is perfect when you go. Whether you travel by car to exotic areas like Chiapas and Oaxaca or whether you plan for a Mexican fishing vacation in Baja, you’ll need authentic Mexico auto insurance from MexicanInsuranceStore.com before you cross the border. You’ll appreciate the fact that you can research in advance, securing your Mexican insurance for cars at MexicanInsuranceStore.com before you leave. Your research may be a little more intensive if you are going to be traveling through several Mexican states during your trip. Some states have low death benefits, and others have very high benefits. Your involvement in a fatality could leave you in serious trouble if your liability coverage isn’t high enough, so you need to be sure that your limits reflect the levels in the most expensive states you visit. When you buy your authentic Mexico auto insurance from MexicanInsuranceStore.com, you can review a listing of states and death benefits to determine how high your limits should be. Unless you are traveling in Baja, you will need to recognize that an auto permit is required if you move beyond the border zone. Your multi-state travel in mainland requires adherence to this policy to limit your risk of problems with officials. Most border states have relatively reasonable death benefits. However, Coahuila has one of the higher death benefits. Check your border state’s limit recommendations before you decide on the right Mexican insurance for cars at MexicanInsuranceStore.com. Most visitors only need Mexico auto insurance from MexicanInsuranceStore.com for a single vehicle. However, if you will tow a boat, ATVs or a car, then you need to include those items on your primary Mexican insurance policy at MexicanInsuranceStore.com. A towed automobile needs its own Mexico auto insurance from MexicanInsuranceStore.com as well. Operating a towed car in the country without getting a separate driving policy written for that vehicle could leave you in a jam if you have an accident. Baja, Chiapas and Oaxaca are simply a fraction of the many cool places you can visit while in Mexico. Nevertheless since you’ll possibly be traveling on your vehicle, don’t forget to get your Mexico insurance ready beforehand. Traveling through various Mexican states is an exciting way of enjoying your trip to Mexico but it increases road fatality risks consequently it is a good thing to have already gotten Mexican auto insurance.